On arrival at Port Blair, our representative receive you at airport / harbour an d escorted you to check in to the hotel/resort after check in at the hotel in the afternoon proceed for to visit Cellular Jail better known as Kalapani - was built by Britisters in the year 1905 to imprison Indian freedom fighter, we start journey corbyn cove beach coconut fringed beach about 8kms from port blair city ideal for swimming . visit to national memorial cellular jail was built by Britishers in the year 1905 to imprison Indian Political freedom fighter, late evening witness the enthralling sound and light show at cellular jail where the heroic saga of the Indian freedom struggle is brought alive. Overnight stay at respective Hotel / Resort at Port Blair. 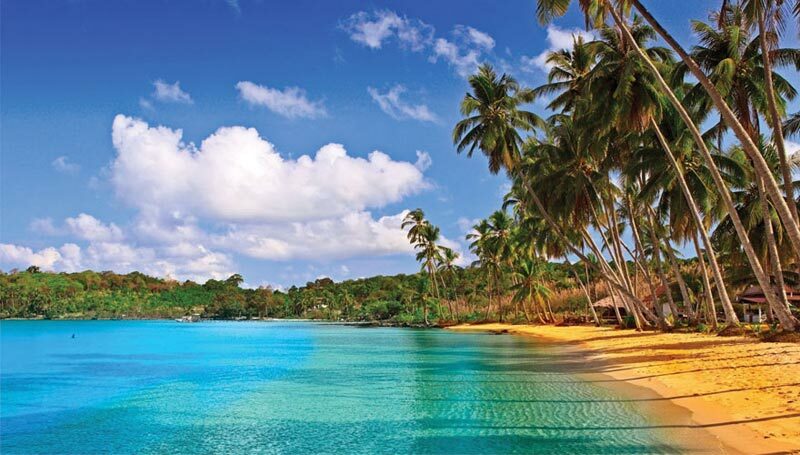 According to boat schedule, you reach back port Blair by ferry. On arrival at port Blair, our representative receive you at phonix bay harbor and escorted you to check in to the hotel. Overnight stay at respective hotel at port Blair. After breakfast, start off for a full day excursion to coral island see coral reefs, exotic varitise of beautiful ornamental fish and other marine life . this is an idial place for snorkeling as this sandy beach coupled with clear water creates breathtaking spectacle. Please carry your lunch pack. Drinking water and changing dress. (water sports activities available here are scuba diving, under water sea-walk, snorkeling , glass bottom boat ride , jet- ski water scooter, banana boat ride , speed boat etc. on direct payment basic) after north bay, visit ross island, he former res identical and administrative island of the british during their rule of south east Asia, was nick named the paris of the east. This island was completely destroyed in an earthquake, now in ruins overnight stay at respective Hotel at Port Blair.